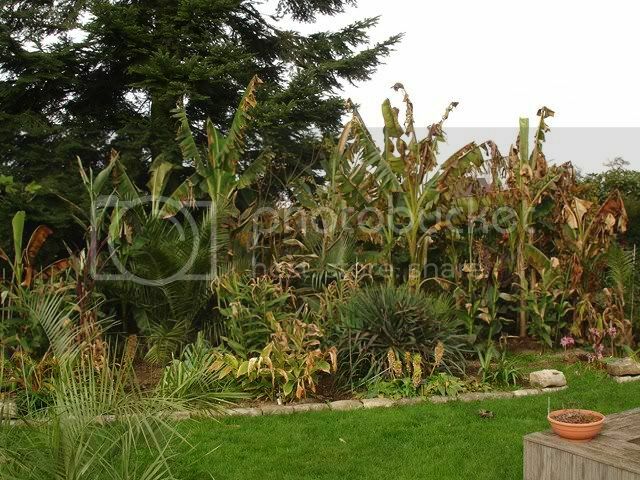 In this topic I'm gonna try to explain how I overwinter and protect my exotic plants in my garden. 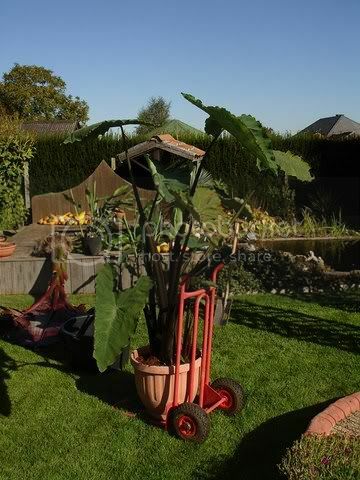 I'm started growing hardy exotic plants in 2006 or 2007, with a Trachycarpus fortunei, Paulownia, Sequoiadendron and a Musa Basjoo. Before I had only Orchids and Passifloras. Normal winters we have temperatures wit lowest -7 to -10°C , not a big problem for most of the plants when they get any protection. In the winter of 2008-2009 we had temperatures of -21°C and -28°C on the ground. 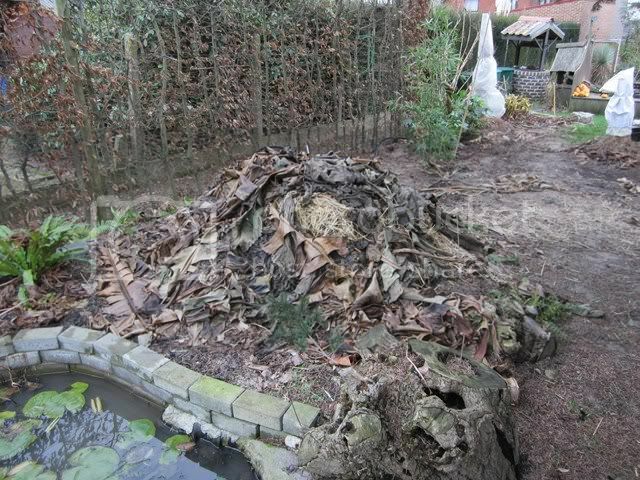 That was a real killer winter for a lot of plants , especially palms. 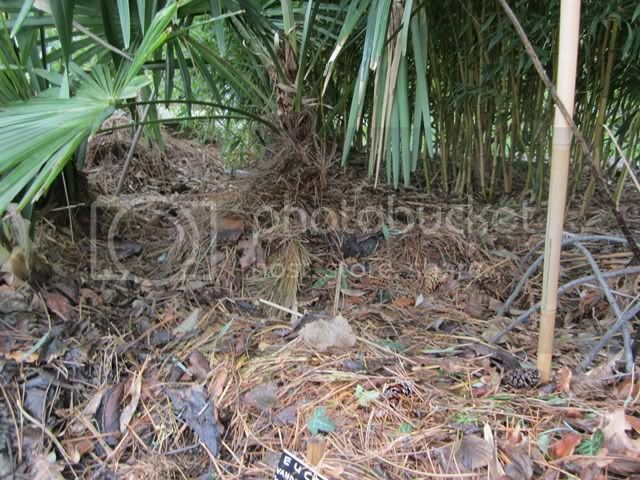 All my palms where dead except a Phoenix that was heated and Trachycarpus seedlings covered under the snow. These palms died that winter: several T.fortunei, wagnerianus, Chamaerops humilis, cerifera, vulcano, Butia capitata (protected), Washingtonia(protected), Raphidophyllum hystrix. Other plants: Dicksonia antartica (protected, not heated) died, all bamboo's(+-50 species) that were planted the year before where frozen dead above the snow (except : phyllostachys bisetii and phyllostachys nuda), all the bamboo's recovered with new (very small) shoots. All cordylines(protected) died , except one. 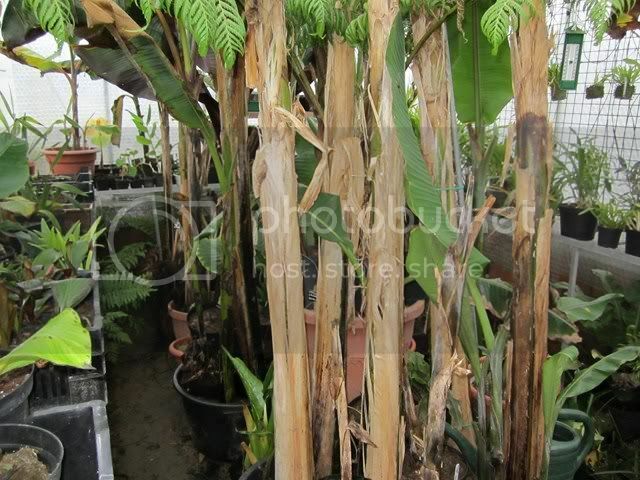 3 varieties of Phormiums (protected) died except one. A Yucca aloifolia with 1m stem and a Yucca gloriosa lost their stem. Thats not happening a second time ! If I keep palms in full ground, they must get more protection and eventually heating. 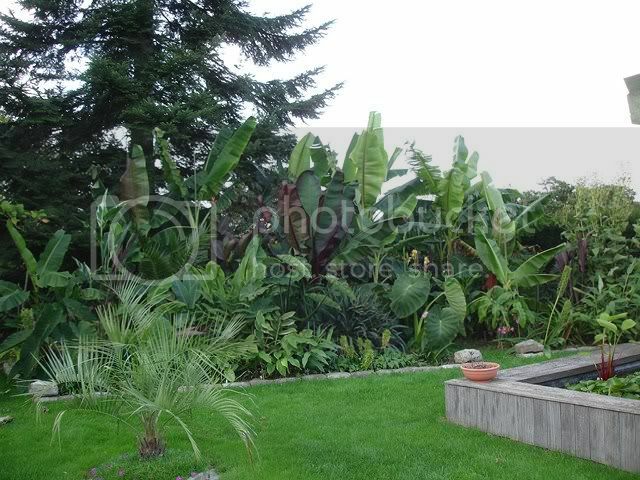 Plants like: Pinus yunnanensis, Hedychium, Melianthus ,Eucalyptus, Trachelospermum, Zantedeshia, Fatsia, Tetrapanax, … and more hardy palms like Trachycarpus, sabal minor, Chamaerops get Pine needles on the base as protection. SO sorry to hear about your loses! Your garden is superb now though!! i take it you think it is hardier than sikkimensis? What sort of heating cable do you use? a light-rope, or a specialist heating cable? What sort of size / wattage? Its the loss of plant life though..how dreadful for you. Not sure If I could start again after that Sven....well done! 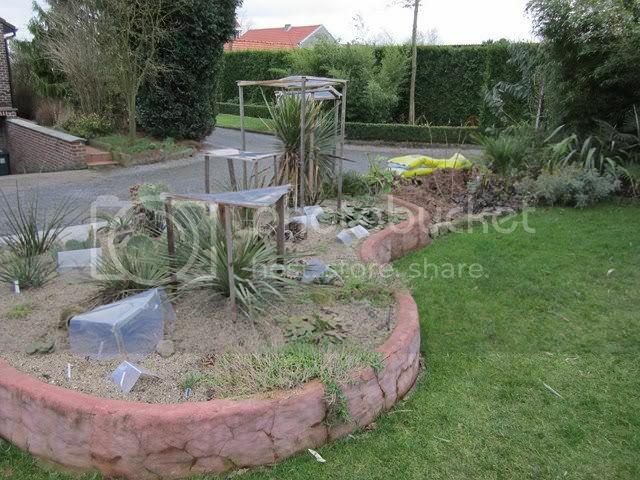 The garden (first pic) was a surprise, its lovely and the Ensetes reached great heights. Excellent and informative photos. 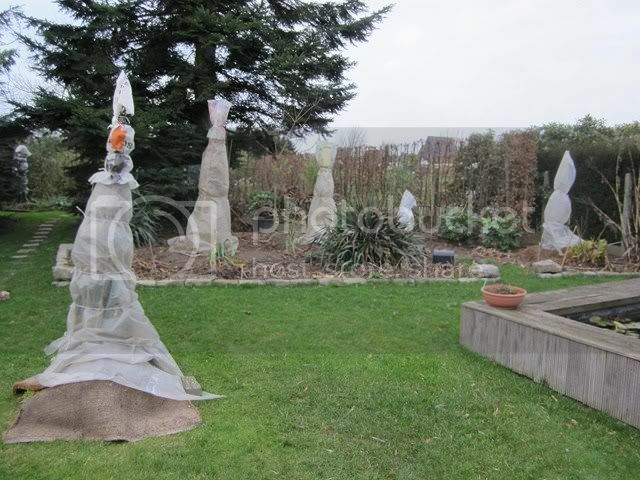 Have the way you have protected your plants this year worked in previous years or is this the first you you have protected them in this way? You must have a tall greenhouse! 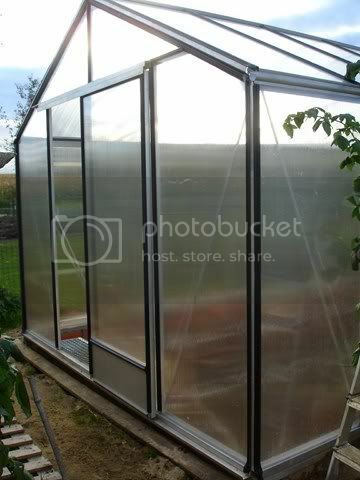 What temp is the greenhouse kept at? Musa Tibet is maybe hardy enough; this winter is the first time I let them outside. Musa basjoo gets the same protection here. 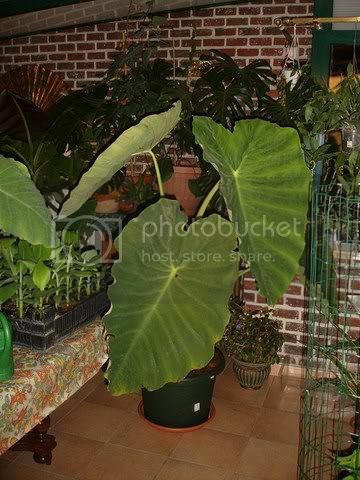 Also Musa sikkimensis , but they can’t handle much frost if they are unheated (max -15degrees). After the killer winter was sikkimensis totally dead, also the rhizomes. Now I have 95% of my Musa's in the greenhouse, that’s much safer. 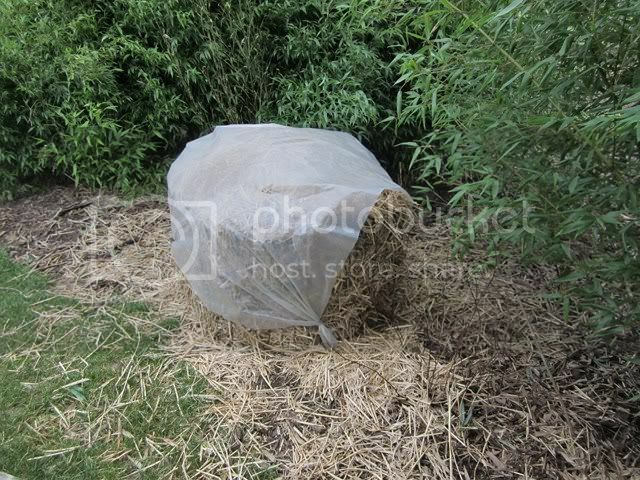 @Kris: The summer after the killer winter I planted new palms (Trachycarpus species, butias and washingtonia) And in the winters since then I protected the plants like now. Last two winters were also quite cold:-12°c in 2009-2010 and -16 in 2010-2011 (with lots. This year is a very soft winter till now... With only a few nights frost in November and begin December. 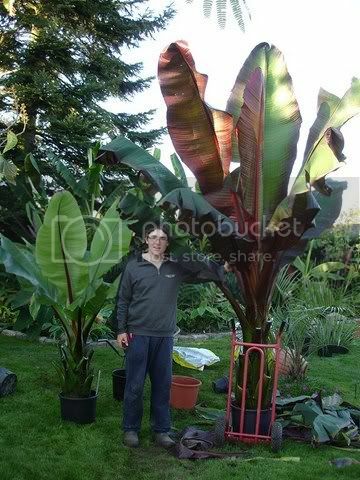 The leaves of the biggest bananas are totally cut off. 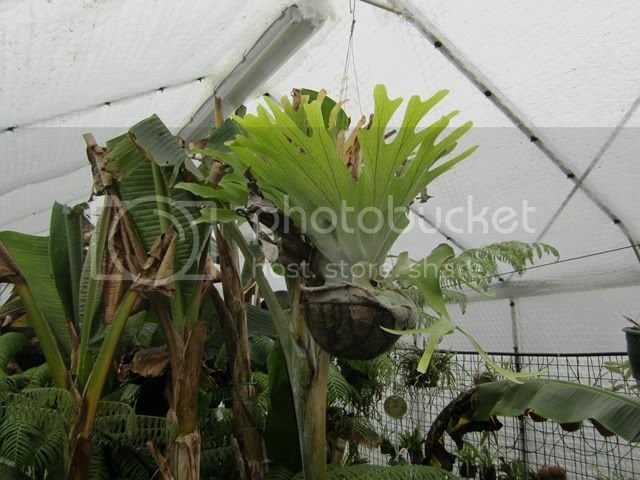 The greenhouse is heated at 10°C minimum temperature (for the orchids). And more hight, for bigger plants. What do you do with the red Thalia? 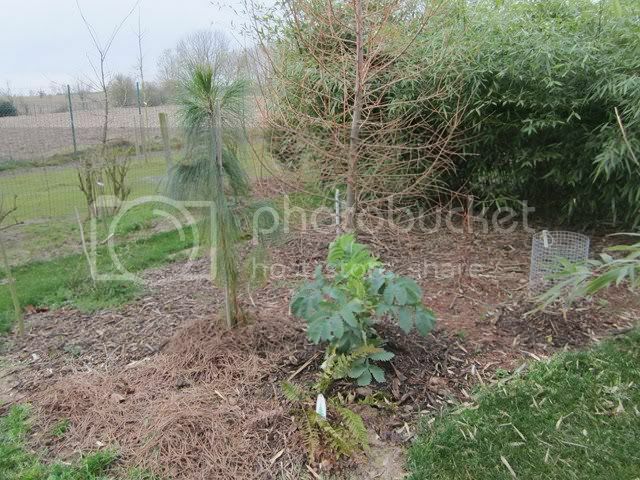 The red Thalia grows in a pot and overwinters in the greenhouse together with papyrus. I have tried the red Thalia once outside at the bottom of the pond (frost free) but he did not survive. The normal Thalia dealbata grows well here outside, in full ground in the marsh-pond. This one flowers every year and gets more than 2meters high. Things have moved on a bit in plant taxonomy since I said… I thought Musa Tibet was a form of balbisiana, it is actually a form or variant of Musa yunnanensis! 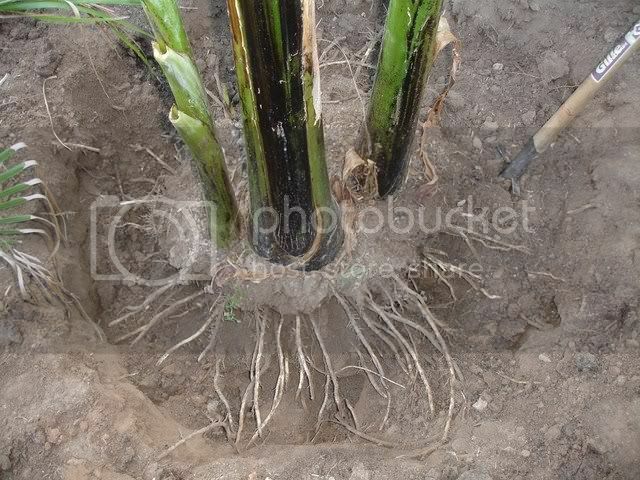 I lost a large Musa Tibet at -6c (stem and corm) it wasn’t protected though. 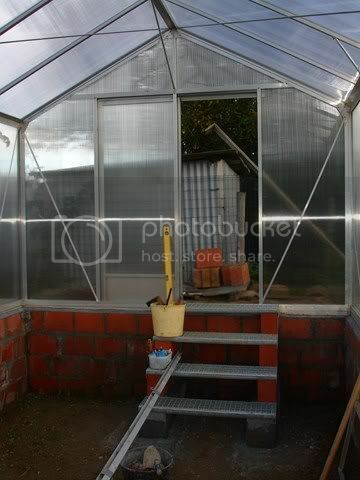 Excellent idea to 'bury' your greenhouse for good temperature management, Sven. Mine operates to a similar system in that my purpose built structure is tucked into a corner where a 35cm thick loading wall about 2m high holds up the garden next door so 'one side' of my protection is below ground. Your arrangement helps you keep a super selection of plants. You've "excavated" the beds inside the greenhouse Good idea. I've done that with mine too, so I can get a bit more height for my Tomato plants, and I plant them in the greenhouse soil as that gives me a bit more height compared to Pots / Bags. 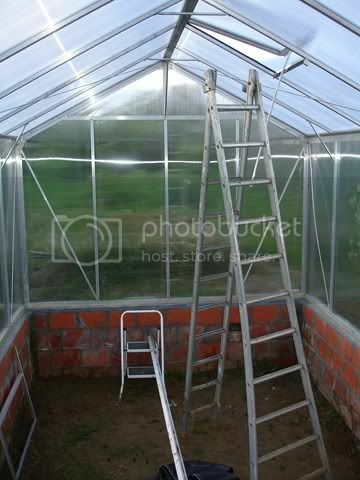 If I was doing it again I would put the "steps" (well, actually a ramp, for a wheel barrow) outside the greenhouse and fit a really tall door. Getting a wheel barrow into mine is a bit of a risky busyness and your steps look like a serious challenge! I ride with a wheel barrow to the greenhouse. On the steps , I carry them. 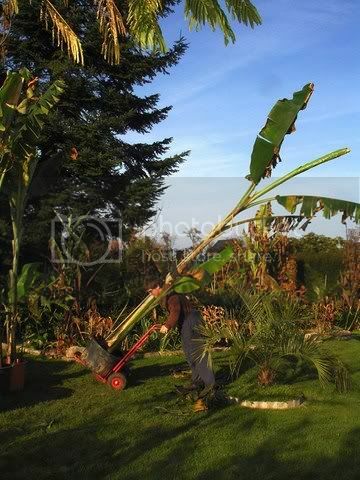 To bring the plants in is not a big problem , but carrying them out (upwards) is not so easy. 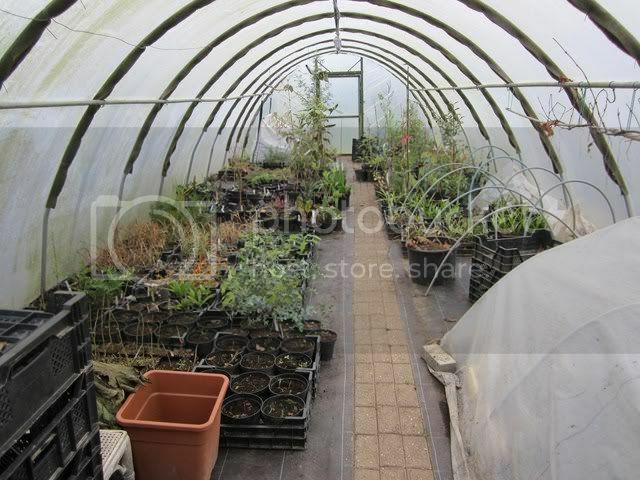 And this is the unheated poly tunnel greenhouse. Here I overwinter hardy plants in pots. Where i sow plants and make cuttings.